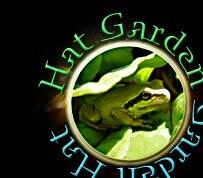 Hat People has been making cloth sewn hats from wool, cotton, linen and hemp for over 30 years. 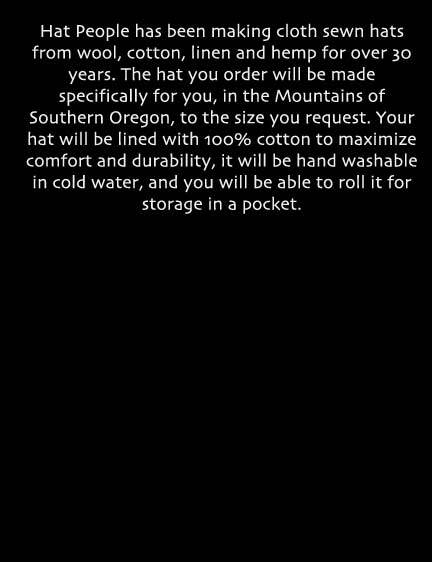 The hat you order will be made specifically for you, in the Mountains of Southern Oregon, to the size you request. and you will be able to roll it for storage in a pocket. Hat People grew out of an Artisans Market tradition that has evolved in cities across Oregon. 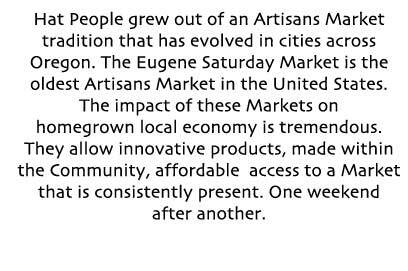 The Eugene Saturday Market is the oldest Artisans Market in the United States. The impact of these Markets on homegrown local economy is tremendous. They allow innovative products, made within the Community, affordable access to a Market that is consistently present. One weekend after another. The Names of Hats can be confusing to even the most discriminating Hat Aficionado. I have reckoned that at least a portion of this confusion can be traced to regional naming preferences, but cultural associations may provide better insights. For example there’s the Hat we call a “Sports Cap”. If you ride a motorcycle and wear this Hat because it fits tight to the head when you push it back, you might call it a “Stroker”. 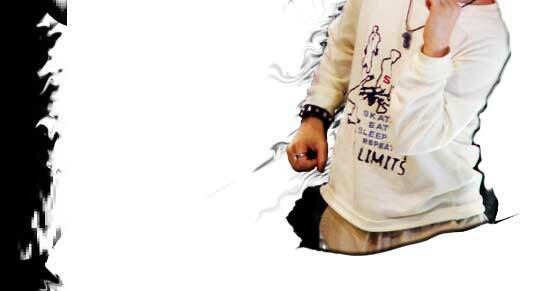 Or say you're not a Biker, but you’re accustom to seeing Bikers wearing the style; you & your friends might call it a “Biker’s Cap”. Here we have two different cultures, in the same region, pinning different names on the same hat! 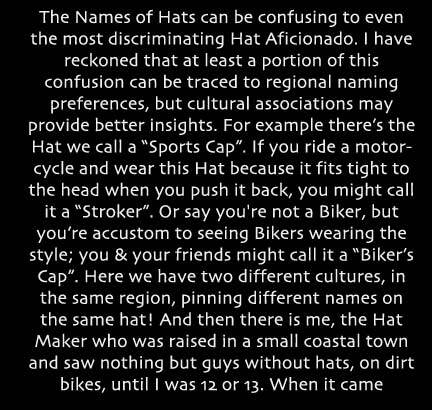 And then there is me, the Hat Maker who was raised in a small coastal town and saw nothing but guys without hats, on dirt bikes, until I was 12 or 13. When it came my turn to think of a name, I called it a “Sports Cap”. Oh, and by the way, that same basic shape is also a Greek Fisherman’s Hat, if you add braid along the band and ribbon across the bill. 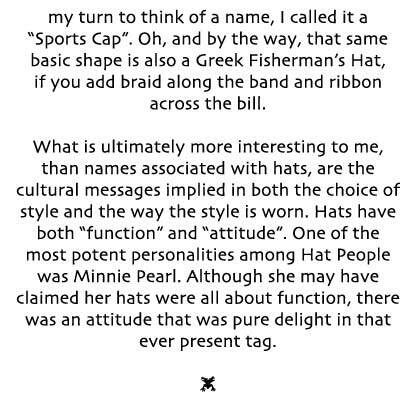 What is ultimately more interesting to me, than names associated with hats, are the cultural messages implied in both the choice of style and the way the style is worn. Hats have both “function” and “attitude”. One of the most potent personalities among Hat People was Minnie Pearl. Although she may have claimed her hats were all about function, there was an attitude that was pure delight in that ever present tag.